The history of the Missouri Fox Trotting Horse is intertwined with the history and lives of a number of Fox Trotter families and individuals who have long since forgotten how many Fox Trotters they have owned and bred over the years. These individuals can paint a vivid and lively picture of the early development of the breed for a willing ear. The numerous contributions of these dedicated Fox Trotter enthusiasts are easy to overlook as the MFTHBA changes and evolves in present day. Bob Webb of Springfield, Missouri is a long time owner and breeder of Missouri Fox Trotting Horses. His bloodline, the Pierson Creek bloodline, has touched the lives of people across the United States. His family, agriculturally rooted in the Ozarks, has a long history of using Missouri Fox Trotters for farm and ranch work. Webb’s father homesteaded land outside of Springfield, Missouri and Webb’s link to the Missouri Fox Trotting Horse precedes the beginning of the registry. In order to put Webb’s association with the Missouri Fox Trotting Horse into perspective the following facts are essential to recognize. Webb has only missed one Celebration during the Association’s years of having annual Celebrations and Jubilees. Webb’s big “book” of Missouri Fox Trotting Horse registry papers shows horses foaled in 1951 and subsequently registered in the early 1960’s. 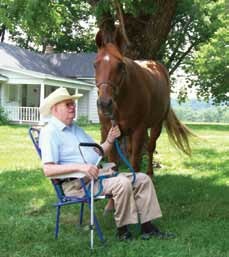 It is difficult to know how many horses Webb has bred and registered over the years due to horses being transferred into new owners names, but a solid estimate is that he has had well over 100 horses registered in his name during his significant history of contributing to the perpetuation of the breed. “I looked for them to fox trot, that was important,” said Webb. A smile and chuckle followed this statement from Webb. “That was the most important things, ” he emphasized. Interesting historical accounts of the breed and past winning horses can be found in old Celebration programs, on the walls of the Hall of Fame room and in the stories told by family members. Black and white pictures show the horses of past days and enthusiastic accounts of winning horses tell part of the amazing story of the horses and committed people that made the present day Missouri Fox Trotter possible. It is in these historical accounts that Fox Trotter enthusiasts can find the important links that help them understand present day Fox Trotters. When Webb reminisces over his stacks of registry papers his enthusiasm for the breed, his bloodline and old bloodlines is catching. Webb recollects the days when his father and grandfather used Fox Trotting horses for everyday work on the farm. “My dad had an old mare named Topsey and all she did was fox trot. He used her to plow, travel and he would just ride her with a rope to take a cow to town, even when she was 24 years old,” said Webb. Webb, a long time dairy farmer and cattleman, always had a herd of Missouri Fox Trotting horses around for using purposes. Horses were saddled in the morning and kept ready for work throughout the day. Webb’s beef cattle are presently worked from horseback by son Rick. Rick continues to utilize the family’s Pierson Creek horse to work cattle. Dairy, bought a horse from Bob to pull a milk wagon. This was during World War II and gas was rationed. Perhaps it is most important to recognize Webb’s contributions to the breed through the standards he set for his breeding stock. “I looked for them to fox trot, that was important,” said Webb. A smile and chuckle followed this statement from Webb. “That was the most important thing,”he emphasized. Many present day Missouri Fox Trotter enthusiasts would love the opportunity to sit down with the men and women who had the vision so many years ago to develop the Missouri Fox Trotting Horse Breed. These men and women hold the true account of the development of the breed that is cherished across the world today. Listening to Webb and his wife Blanche, their family and friends tell the history of his horses is not only a Fox Trotter history lesson, but also a lesson in developing quality breeding stock. 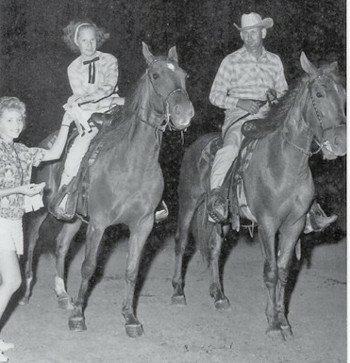 Webb’s horses were able to shine in the show ring in the 1960’s, ‘70’s and through to present day. In addition to success in the show ring, the Pierson Creek horses headed east and west to various states. “Joe Graham was a childhood friend of my dad’s, Joe and his wife Sue bought horses from Dad and took them to California. Joe and his friends even rode the horses in the Rose Bowl Parade, we just thought that was pretty neat,” said Kathy. Long time Fox Trotter owner and buyer Paul Senteney of Colorado purchased numerous horses from Webb overthe years. “Bob had the kind of horses we like out west, his horses made good mountain horses,” said Senteney. Senteney specifically purchased horses from Webb for the forestry service. “We used a lot of them [Pierson Creek Horses] for the forestry service. They were really sure-footed, stout, old-fashioned Fox Trotters.” Senteney purchased a 5 year old Pierson Creek gelding this spring from long time Fox Trotter owner and breeder Joe Hale. “Bob kept horses for two reasons, to work his cattle and to trail ride a horse with stamina,” said Hale. “Bob was smart enough to keep a horse that could fox trot and be used.” Hale fondly remembers the days when Webb judged local Fox Trotting shows. He also remembered a buyer from California who would not buy anything but a Bob Webb horse. “Bob’s horses generally had rhythm all the way back, there use to be a lot of horses like that in this country,” said Hale. Webb’s horses found their way to Pennsylvania over twenty-five years ago via Chris Snyder. “I saw Rick riding a black horse and I was amazed by the horse’s cow sense and athletic ability. I called the horse Scooter because he could really scoot along. After Scooter, I brought back to Pennsylvania as many Pierson Creek horses as possible to market on the East Coast. I have not been without a Pierson Creek bred Missouri Fox Trotter since I bought Scooter,” said Snyder. The Webb family is still enjoying Fox Trotters today. Bob’s horses and breeding efforts have provided his family and so many others with great memories and great rides. 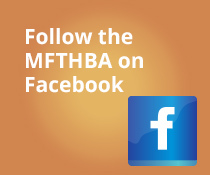 As a long time contributor to the MFTHBA, Webb has a wealth of knowledge about the breed and the breed’s early history. Webb also has his own history of developing a successful breeding program to share with other members and enthusiasts. Take the time visit those who can remember the days when only the Fox Trot mattered. Look for Bob during the annual Show and Celebration, stop in and visit with a man who has known Fox Trotters for a lifetime.